How many can you score by connecting the Town facts, dates and names? Try these quizzes by Alex Cooke and Ron Smith. Test yourself, then make your own Your brain is one of the most complex and magnificent structures in existence. More powerful than any computer, more sophisticated than a robot in a top hat and smoking jacket. No, really. 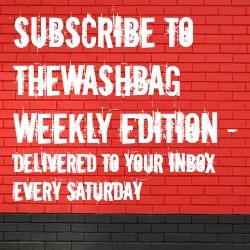 Episode #46 of TheWashbag Swindon Town FC Podcast is now available to download or stream online… For our second outing over Skype (with sound levels still not as perfect as we’d like), Ron Smith is joined by Alex Cooke and Brendan Hobbs to discuss the transfer window, Chinese trains, a return to 3-5-2 and what should’ve been a goalless draw versus Barnsley. 17th in L1, so is there any chance of a top six finish for Swindon?